Another installment of some brilliant songs, that I found on various sites and forums. Goswami Gokulotsav Maharaj is a big follower of Ustad Amir Khan and his singing style. His enthusiasm is unquestionable, although the effort he puts up in sounding like Ustad Amir Khan, who was known for his effortless and unassuming style, is too evident. Nevertheless, he is a marvellous singer. Malavika Kanan, as we all know, was the wife of the renowned classical vocalist A Kanan. Her own singing talent is widely known. Jayanti Sahasrabuddhe is the daughter-in-law of the illustrious vocalist Veena Sahasrabuddhe. As part of her training, she has provided vocal support to her mother-in-law in more than 100 concerts all over India, U S and Canada. She is a recipient of the National Scholarship in Music by the Government of India. Kalpana Zokarkar is a young vocalist of the Kirana Gharana. She is one of the very few singers who specialize in Tappa singing. After the partition of India, the princely states of both India and Pakistan, which until then were the main patrons of classical music, became almost defunct. The former Nawabs and Maharajas of these small and large kingdoms were more worried about their own fate, rather than look after the cause of classical musicians. 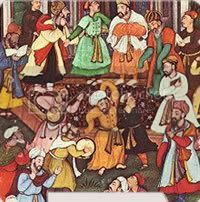 Fortunately, the state controlled Radio and TV stations of both countries soon took over and became the only mediums where the ancient music tradition continued. Those were really hard times for classical musicians. Many classical vocalists in Pakistan turned into part-time Ghazal singers and some found singing Punjabi folk songs to be more fruitful. Noted Pakistani vocalist Roshanara Begum was so disgusted that she stopped singing altogether. All India Radio (AIR) and Radio Pakistan must be given due credit for the pains both took in preserving the musical heritage of the subcontinent. 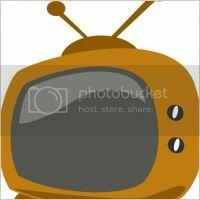 Of course later on, Doordarshan, India’s sole TV station until the early 1990s and PTV, Pakistan’s own national TV, took the baton. Both lacked advanced technology and took refuge in transmitting recordings, sometimes live programmes, of classical music during the leisurely afternoon hours, much to the delight of classical music lovers. Presented here are a few audio recordings of classical music, relayed on PTV about 10-11 years ago. I had assembled a rudimentary recording device, which I had used to record these songs straight from the TV to the hard disk of my computer. In the first post of this series, I find it appropriate to feature two of the greatest vocalists of Pakistan, the famous brothers, Amanat Ali Khan and Fateh Ali Khan of the Patiala Gharana. These are unpublished songs, perhaps not available anywhere, except maybe in the PTV archives. .. more songs, ripped from the tube, very soon. 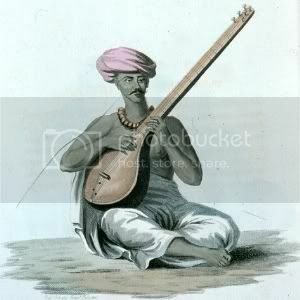 The present day Sarod, came into vogue through an evolutionary process. Its predecessor, the ancient Rabab, was played in the Mughal court of Emperor Akbar. It is a six stringed instrument with its lower gut string used as a resonator. The founder of the Sikh faith, Guru Nanak, favored this instrument. The guru’s closet disciple, Bhai Ramdass, usually strummed on it and it is believed that the guru poured out his immortal devotional hymns to the sounds of the melodious Rabab. The high point of difference between the Rabab and the Sarod is that the Sarod is endowed with an extra dose of melody and this is due to the inclusion of a metal chest plate across the front rod of the instrument. The fingerboard is thus a steely glide. As gut strings would create a dull sound effect on a steel surface, it necessitated the introduction of metal strings of variable thickness. These innovations were the work of Bandegi Khan Bangash, a camel caravan driver of Afghanistan. The ace Sarod genius, Ustad Amjad Ali Khan is a direct descendant of this family and like his illustrious family he has included a new aspect of creative element into the still evolving instrument. The musical element of the thumri form of singing has entered his Sarod playing style. Ustad Ali Akbar Khan, and of course his father and guru, Ustad Allauddin Khan were considered to be the best exponents of Sarod during the last century. Some have heard of her. Few have met her. None truly know her. Sarod wizard Ustad Ali Akbar Khan said of her, she is ‘simply great’. Pandit Ravi Shankar acknowledges her genius. Yet, none have heard her play. Mysterious, intriguing, she is like our own Greta Garbo, living in her own shadows, shutting herself out from the world in the cloistered confines of a city flat, seeking peace in an instrument her father taught her. She wants nothing from the world, from society. But if she decided to give of herself, the world would be a richer place. 1. The door will not be opened on Mondays and Fridays. 2. Please ring the bell only thrice. 3. If no one opens the door please leave your name and address. ~ Thank you very much. Inconvenience is regretted. 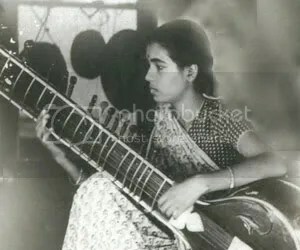 Annapurna Devi, who was born as Roshanara Khan in 1926 at Maihar in the state of Madhya Pradesh, India, is a maestro of Surbahar or the bass Sitar. Her father Ustad Allauddin Khan, who also happened to be her guru, was the founder of the famous Maihar Gharana or the Senia Maihar School and was regarded as one of the greatest instrumentalists of the 20th century. Sarod maestro Ustad Ali Akbar Khan was her brother and she married Pandit Ravi Shankar, also a pupil of Allauddin Khan, at a very early age. 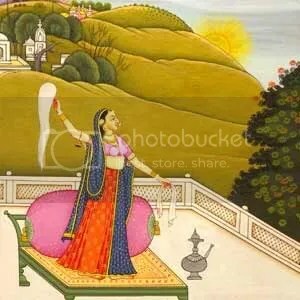 Annapurna Devi emerged as a proficient Surbahar maestro of the Maihar Gharana just within few years of taking music lessons. Soon after she even started giving music lessons to some of the students of her father like Pandit Nikhil Banerjee and Ustad Bahadur Khan. Baba, as Allauddin Khan was called by his disciples, was a very strict man and his temper was well known. There were times when the boys were so petrified that they dared not approach Baba and the only person who had access to him was Annapurna. He taught her, and she in turn often taught the boys. The trio of Annapurna Devi, Ravi Shankar and Ali Akbar Khan, began a long and arduous journey, trying to plumb the depths of a 5000 year old tradition of Hindustani music. Annapurna Devi‘s marriage to Ravi Shankar was arranged with the suggestion of Uday Shankar, his celebrated elder brother. 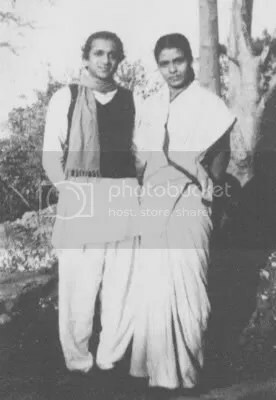 Annapurna Devi, who was only 14, wedded Ravi Shankar when he was 21 years old. Though a tumultuous one, the marriage lasted for some 20 years during which the couple gave birth to a son, Shubhendra Shankar. It could have been a fairy tale or an eternal duet between two maestros, but somewhere at the height of the glory something happened and the relationship snapped like a thin thread. There were whispers, as they were bound to be, given the fame of the two musicians and given the fact that they were husband and wife. Many say, Ravi Shankar fell in love with somebody else, a woman known as Kamala. Perhaps the affair became too big and Annapurna was definitely hurt by the entire thing. This and her father’s subsequent death dealt a severe blow to her, something that she could never recover from. She became a recluse thereafter, totally cut off from the rest of the world. By all accounts, Annapurna Devi‘s only public concert was staged in the early 1950s, and no one has ever heard her play the Surbahar or Sitar in public or private ever since. Few have seen her, fewer still have heard her play. She has performed a total of 11 times in her life. Finding a recording of hers is like locating a needle in a haystack. Her students say that she imparts instructions through singing and not through playing her instrument, and she conducts her lessons only in the late hours of the night, more often after midnight. What is more, she has remained inaccessible and unapproachable even to her own students without prior consent and appointment. Neither does she make herself available on telephone, nor entertain any visitors. She is allergic to press reporters, critics and lensmen. As a teacher, she has had many noteworthy students like Ustad Aashish Khan, renowned flautist Hariprasad Chaurasia and others. She has not recorded any music albums. But some of her performances, notably Raga Kausi Kanara, Raga Manj Khamaj and Raga Yaman with Ravi Shankar have been secretly taped from her earlier concerts, and are available but not commercially. In spite of her avoidance of media limelight, she continues to be thought of as a classical instrumentalist of the highest calibre in India. All the awards she has received, including the Padma Bhushan in 1977, Sangeet Natak Akademi Award in 1991 and the Desikottama Award (highest honour conferred by the Vishwa Bharati University, Shantiniketan) in 1999, have been accepted in absentia. Every now and then one comes across small clips of excellent songs, tiny droplets from the vast ocean, which the world of hindustani classical music indeed is. The fuller versions either do not exist or the songs were not meant to be recorded for commercial purpose. The one by Zarina Begum is an amateur recording, sung by her when she was about 90 years old, simply for the benefit of an ardent fan. She is one of the remaining few from the courtesan era of the British Raj. She is playing the Harmonium herself, while Qurban Hussain, her husband, plays the Tabla. The recording was done at her one room house in Lucknow. Birju Maharaj, as we all know, is a renowned Kathak dancer. Very few know that he is an excellent singer too.